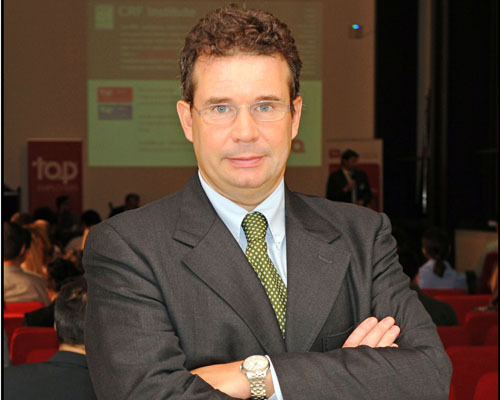 Luca Solari is full professor the University of Milan, the second largest university in Italy. He recently visited at the Orfalea College of Business at CalPoly, San Luis Obispo, California. Luca has the ability to bridge research and practice, whether conducting a Collaborative management research project or joining for an inspirational and usually provocative presentation at a company gathering. He describes his enactment as an activity of Corporate Sense Making developed with a deep understanding of corporate dynamics. He has a profound command of quantitative and qualitative research and intervention methods. He has a gift for storytelling, habitually reinforced by the use of innovative presentation tools and images. When asked to be a Keynote speaker, he is a natural, who easily links his ideas to the flow of any conference or gathering. He is developing a book on the imminent change in paradigm that will affect management and human resource management more in detail, when neo-humanism will flourish in society and social sciences. At the same time he is developing the field of organizational genetics, and researching the impact of social media on human resource management. Luca holds a PhD in Organization and Management theory. He is a Member of different academic and professional associations (Academy of Management, European Human Resource Forum, Society for Human Resource Management, AIDEA, etc.) and he acts as reviewer for different journals, including Human Resource Management. He is also Academic in Residence for the Senior Leaders’ HR Forum of Executive Networks in Europe. He welcomes invitations to act as speaker at management conferences, and is searching for innovative companies that want to share their experiences getting rid of the old HRM.